Part 1 of a sermon series based on questions from the congregation. Delivered at Central Presbyterian Church, Waxahachie, Texas, on Aug. 4, 2013. In Barbara Kingsolver’s excellent novel The Poisonwood Bible, there is a point when Adah remembers a particular day in her childhood Sunday school class when what she had always been taught just didn’t make sense anymore. The problem she was having was that it seemed admission to heaven was handed out by the luck of the draw. She had the good fortune to have been born within earshot of a preacher, her father, but what about children who were not – those for example, who grew up in the Congo, having never heard the Gospel? Would our Lord, she wondered out loud, be such a “hit or miss kind of Savior” as that? Would he condemn some children to suffer eternally for the accident of their birth and reward others for a privilege they did nothing to earn? For many people, there comes a time when particular passages in the Bible cannot be reconciled with real life questions, or when common sense or education or scientific discovery raise doubts about what was previously considered to be a rock solid biblical claim. For some, such an event as this in a human life marks the end of faith, as it did for Adah – a time to give up what cannot or will not be explained and simply move on, laying religious faith aside as something that has been outgrown. Others attempt to reconcile the new information with their faith in God and how they read the Bible. Historically, though, still some others have responded to this challenge by devising a system of biblical interpretation known as inerrancy. The question before us today – the topic you have selected for me – is the following: Is the Bible the literal, inerrant word of God? Let me add this: If it is not, how then is the Bible authoritative for us? What do we mean when we say, “This is the Word of the Lord”? Literalism suggests meaning is plain: The Bible says what it means and means what it says! Inerrancy holds that passages are free from any kind of error. To be inerrant, each passage must be able to stand on its own as factual. To accept the Bible as the literal inerrant word of God has a certain ring to it that suggests this was something chiseled into stone along with the Ten Commandments. Yet the term inerrancy is not in the Bible, and the biblical writers had no concept that for something to be true, it had to be factually accurate. This concern only surfaced at the time of the Enlightenment when everything began to be ordered to the bar of human reason in order to be judged as worthwhile. This way of understanding our world continues to have deep impact on our lives today, in some ways I think sapping our lives of the beauty – and dare I say, truth – of mystery and miracle. Numerous differences in the four Gospel accounts did not trouble early Christians, who saw it fitting that God’s truth was too large to be reduced to one perspective. But beginning in the 18th and 19th centuries, a growing reliance on reason and increasing scientific discoveries left believers with questions that they could not easily answer. Discoveries related to the history of our earth could not be reconciled with a literal reading of Genesis. And what to do about the theory of evolution? One way that people addressed these kinds of problems was to hunker down and say, well, everything in the Bible is factually accurate. Then, as increased discovery of errors and inconsistencies in the various manuscripts that are out there made that argument untenable, there came the claim that, well, the Bible must then be inerrant in its original manuscripts – but, of course, we don’t have any original manuscripts and never will. There is no way that claim can ever be verified. Most Christians throughout history have not read the bible literally as they might a history or science book. Many of the Christian Church’s foremost early theologians did not subscribe to anything approaching inerrancy and many were adamantly opposed. Saint Augustine found the notion that Christians took literally stories like Jonah spending three days in the belly of a whale an obstacle to his conversion. He only began to contemplate taking the Bible and those who read it seriously when Ambrose, bishop of Milan, introduced him to allegorical interpretation – that stories can point to spiritual realities rather than historical facts. Augustine came to advocate flexible biblical interpretation that could be adjusted in light of what one learned about the natural world, since both Scripture and the natural world share a common source. Inerrancy commits one to factual accuracy of individual texts. Does the Lord, for example, heal all our diseases, as it states in Psalm 103:3? Was Jesus only sent to the lost sheep of Israel, Matthew 15:24? Will all liars end up in the lake of burning sulphur? Revelation 21:8. Do great sea monsters guard the edge of the sea, as in Job 41 or Psalm 104? And we are told we must take all scripture with the same level of importance. Should God’s command to utterly destroy the Amalekites, their men, women, children, infants and animals, or the apostolic instruction that slaves obey their masters, or that women stay silent in the church, be vested with the same authority with the proclamation that God was in Christ and that in him there is a new, inclusive community (Galatians 3:28)? Must we risk turning the life-giving authority of scripture into a deadening authoritarianism? Now, I understand, if you are a devoted advocate of biblical inerrancy, you are not going to like my sermon very much today. But let me say this: I am not here today to call you out as wrong, or to say you need to do it my way, or that you are not welcome in this church to read the Bible in the way that you feel convicted to read it. Please do not leave here with that message. In fact, I believe we find that the Holy Spirit delivers meaning to us in the midst of discussions of people who have various backgrounds and understandings – and I welcome that. My sermon today is for those who feel that they have trouble maintaining their faith in light of what they have been taught about biblical literalism and inerrancy. 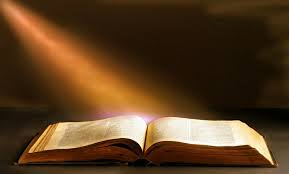 I’m here to say there is another way – and that way is not the product of New Age thinking or liberal theologians, but it is how devout Christians have read the bible for centuries – seriously and authoritatively and as the inspired word of God, though not inerrant. The Bible contains many literary forms: poems, songs, parables. To insist on their factual accuracy is to miss the point of what these stories mean and how they convey the presence of God into a community and into the human heart. It is about a message of reconciliation, taken as a whole and its ability to transform when read and pondered and interpreted in the community of Christ followers. At the age of 27, novelist Frederick Buechner moved to New York but found himself unable to write anything and contemplated changing careers. Uncharacteristically, simply because the building sat a block from his apartment, Buechner began attending the Madison Avenue Presbyterian Church, pastored by George Buttrick. At the time of Queen Elizabeth’s coronation, Buechner heard a sermon that changed his life. Buttrick was contrasting Elizabeth’s coronation with the coronation of Jesus in the believer’s heart, which he said, should take place among confession and tears. Buechner later wrote, “And then with his head bobbing up and down so that his glasses glittered, he said in his odd, sandy voice, the voice of an old nurse, that the coronation of Jesus took place among confession and tears and then, as God was and is my witness, great laughter, he said. Jesus is crowned among confession and tears and great laughter, and at the phrase great laughter, for reasons that I have never satisfactorily understood, the great wall of China crumbled and Atlantis rose up out of the sea, and on Madison Avenue, at 73rd Street, tears leapt from my eyes as though I had been struck across the face.” This is the Living Word, which cannot be confined by a book. A witness never points not to itself, but to something greater. And so the Bible is the Word of the Lord in a derivative sense. The living word of God is Jesus Christ, and we are brought into relationship with him through the witness of Scripture. Based on what we know about the love of God in Jesus Christ, I must say it makes no sense to me either that God would be a hit or miss kind of savior. But I am encouraged that the same God who inspired the holy scriptures and sent Jesus gave us science to explore the mysteries of our world and minds to ponder the great theological questions. And knowing that the psalmist says God’s love for us reaching as high as the heavens, we can believe I think that it reaches around the world, as well. This, too, is the Word of the Lord. Thanks be to God.